The Chew Lab Marketplace is one of the new food and drink locations to be found during the 20th annual Epcot International Food & Wine Festival. 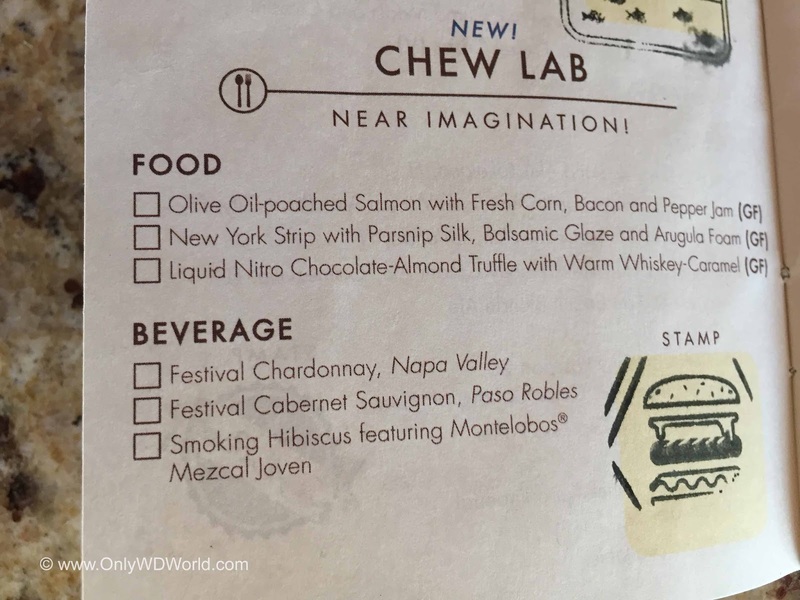 It is inspired by ABC's The Chew with innovative food and drinks to enjoy. 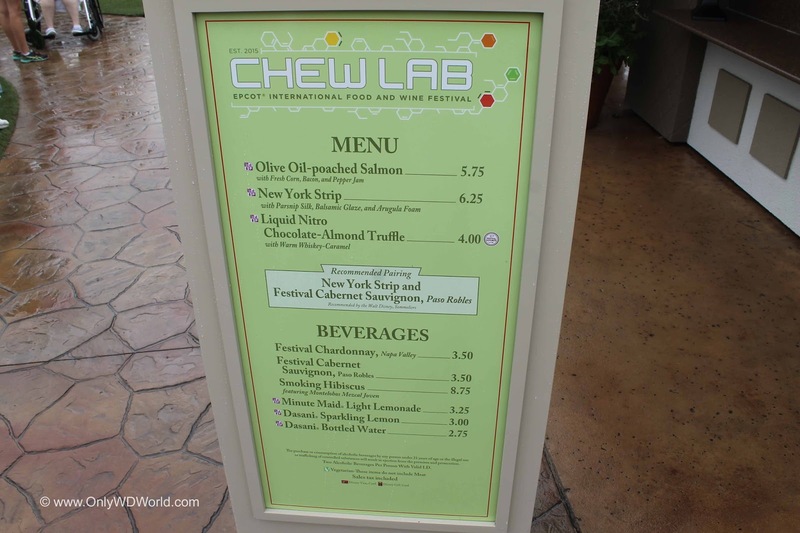 As one of over 30 different International Food & Drink kiosks that have been erected around Epcot for the Food and Wine Festival, the Sustainable Chew Marketplace is one of two that have been inspired by the popular ABC show The Chew which features Chefs: Mario Batali, Carla Hall, Michael Symon, Clinton Kelly, and Daphne Oz. It differentiates itself with the innovative food preparation techniques such as the liquid nitrogen dipped Chocolate-Almond Truffle. 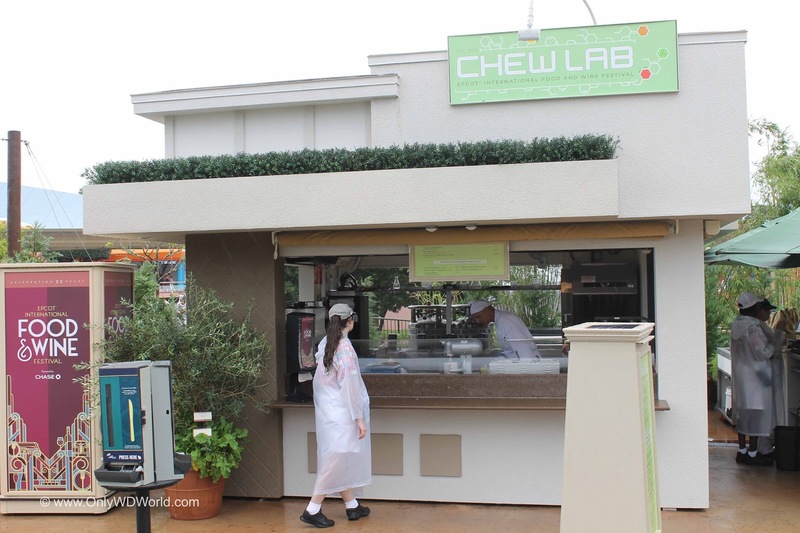 This marketplace along with the Sustainable Chew are also the 1st ever F&W kiosks to be located in the Future World Section of Epcot. The Chew Lab caught our attention with an impressive looking menu, but really held it with the great food preparations and the extremely fun Liquid Nitrogen dessert and drink (Smoking Hibiscus). We tried the Olive Oil-poached salmon and it was delicious! 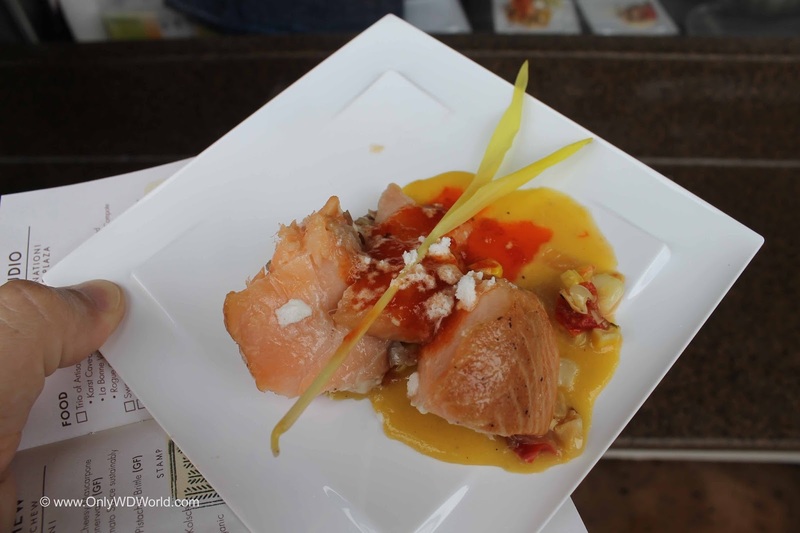 As you can see in the picture above the presentation was excellent and the flavors did not disappoint This is definitely a dish to add to your list of Festival items that you should try. The Liquid Nitro Chocolate-Almond Truffle with warm Whiskey Caramel was noted on the menu as a Festival Favorite and we definitely agree. This newcomer to the Festival is definitely a winner that fans will want to enjoy this year and hope returns again for future Festivals. 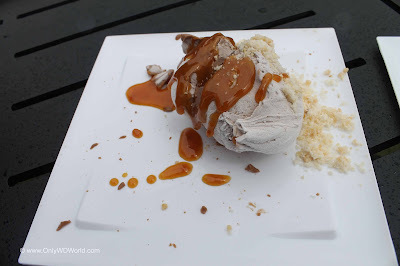 As fun as it was to watch this dessert be prepared, it was even better to get to eat it. Each of the components worked well together and the Whiskey caramel sauce absolutely amazing!!! 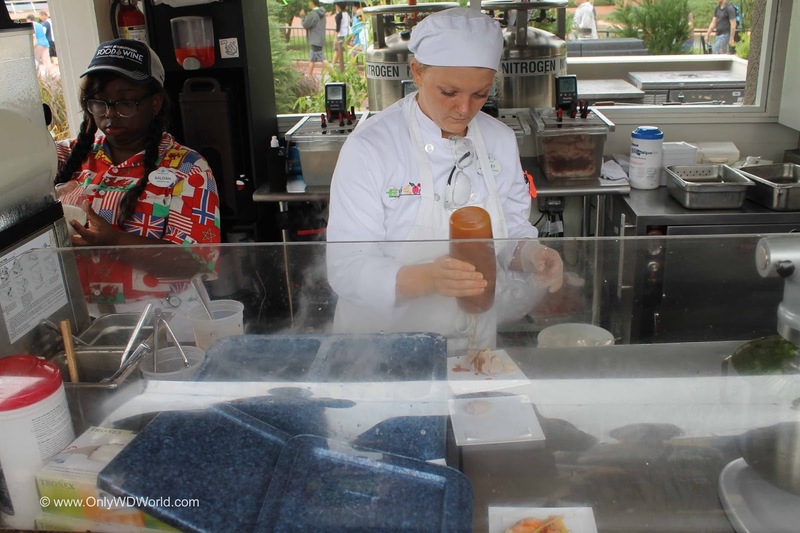 This kiosk absolutely did the chefs from The Chef proud, and may win votes for "Best Overall Marketplace" for the 2015 Epcot Food & Wine Festival! 0 comments to "Chew Lab At Epcot International Food & Wine Festival"